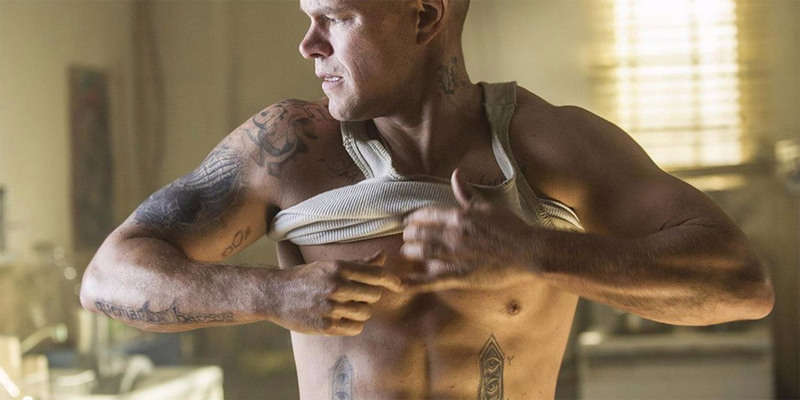 The Jason Bourne workout shows how Matt Damon got fit. For the movie, Matt Damon wanted to get bigger than ever before. Being chased by the CIA, Damon tapped personal trainer Jason Walsh to get in shape for the role. 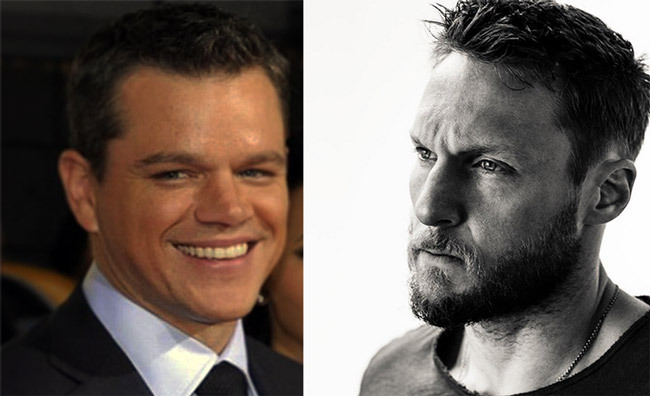 In fact, Matt Damon worked out with his trainer for three movies. Spanning 18 months, Matt Damon worked out with Walsh for Jason Bourne, The Martian and The Great Wall. Damon started with bodyweight exercises to build a strong base. 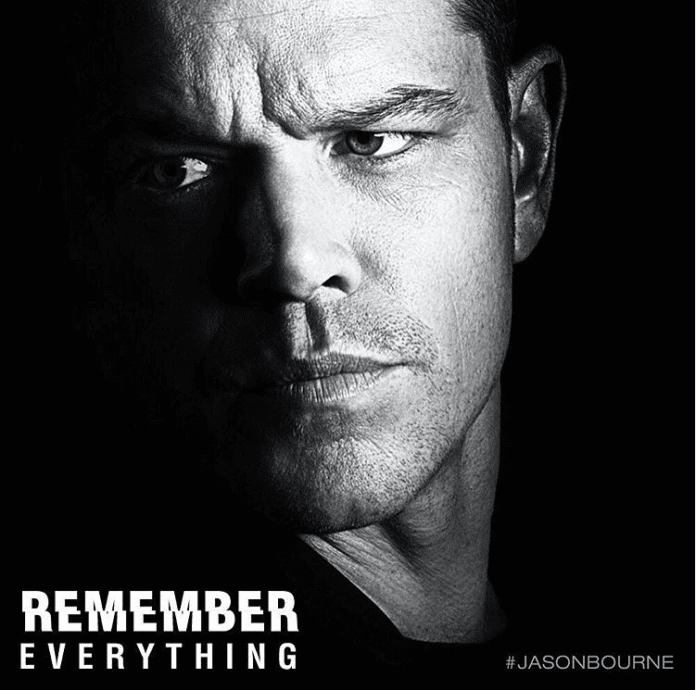 By the time the movie Jason Bourne was filming, Matt Damon was bench pressing 250 pounds! Not only that, Matt Damon could also put Ben Affleck into a headlock at will. 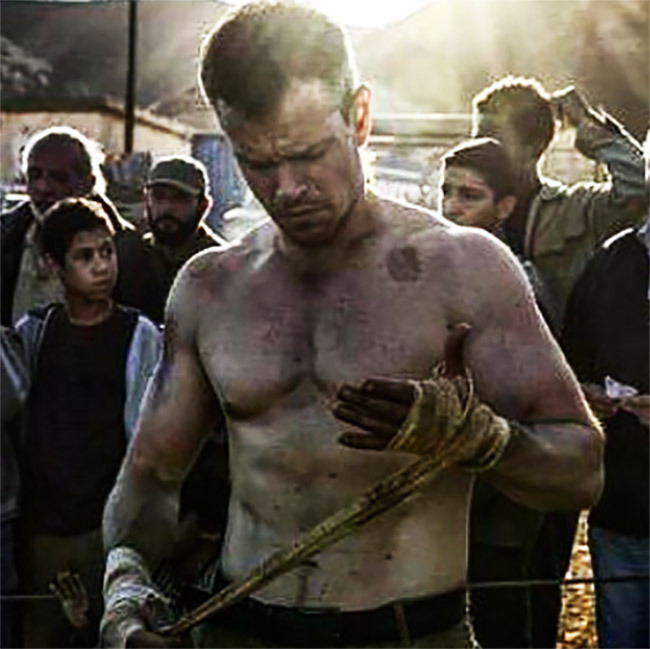 In Jason Bourne (2016), Matt Damon is a lot more muscular than ever before. This was all due to the training he got from Jason Walsh. Celebrity trainer Jason Walsh is one of the most famous trainers in Hollywood. Based @ Rise Nation in L.A., Jason Walsh is the mastermind behind the fitness routines of many movie stars. 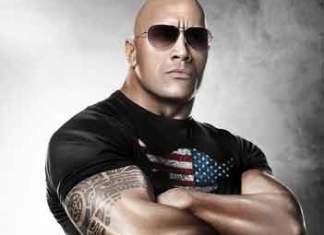 For more examples of his method, check out the Bradley Cooper, John Krasinski, Ashley Green and Jessica Biel Workouts. All about getting good at doing as assortment of pushups and pull-ups. Along with these exercises, you can start to do more focused routines. A lot of people don’t know what it’s like to work that hard and work that long. We had been working out for a year-and-a-half straight. He worked his @ss off. I’m really proud of him. On the VersaClimber, Matt Damon was give quick challenges, like trying to see how fast he could ‘climb’ 100 feet. They would do 12 total sets (see Instagram caption above). To burn fat, the team also did a bunch of 1 minute HIIT sprints, followed by 30 secs rest. (Repeat 10-15 times). Or, they would do Tabata training (8 rounds of 30 seconds on / 30 seconds rest). The climber allows you to utilize both the upper and lower body. So, they’re working together, recruiting more muscle, more oxygen and burning more calories than any other product on the market. When not working with celebrities, Jason Walsh performs 30-minute classes in New York and L.A. In Los Angeles, he turns the room pitch black, so all you can see are the Hollywood Hills. You start off drinking quite a bit of water the week leading up to the shooting. Then, you start to cut back around 2 days before a specific shot. So, on that day, you don’t have a lot of water in your system. 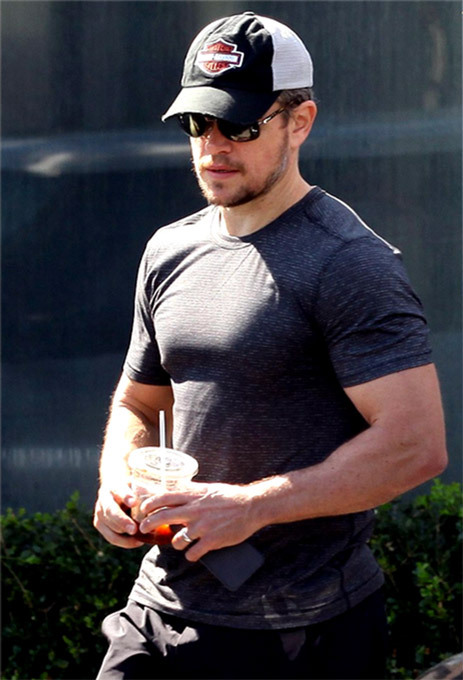 When the Jason Bourne movie was finished filming, Matt Damon was finally able to have a cheat meal. He says he opted for the thing he was craving the most. A Large Pizza. And, judging from his workout routine, Damon definitely deserved it!